The rate of ambulatory outpatient visits for benzodiazepine has nearly doubled in the US from 2003 through 2015, in a new cohort study highlighting concerning rates of use that’s been increasingly linked to overdose deaths. In a new assessment conducted by Sumit D. Agarwal, MD, and Bruce E. Landon, MD, MBA, MSc, of Harvard Medical School, the pair of investigators observed annual ambulatory outpatient prescribing rates for benzodiazepine to help better understand the exponential rise in therapy-related overdose mortality. According to the investigators, overdose mortality associated with the sedative therapy has increased from 0.6 per 100,000 adults in 1999, to 4.4 per 100,000 in 2016. Though benzodiazepines are gathering more clinical attention due to their association as a co-prescribed drug in the opioid epidemic, Agarwal and Landon noted the focus of recent research has fixed on patient factors, age demographics, and their association with comorbidities. “Less is known about who prescribes benzodiazepines and for what indications or about co-prescribing with other sedative medications beyond opioids,” they wrote. The team analyzed patient visits from the National Ambulatory Medical Care Survey (NAMCS)—a cross-sectional survey of ambulatory-related visits conducted by the National Center for Health Statistics, designed to track US practice patterns year-over-year—from 2003 through 2015. Investigators noted their final count of benzodiazepine visits would be underestimated due to their exclusion of coded medication positions introduced after their baseline year of assessment—positions which could have constituted up to 15% of benzodiazepine visits in recent years. The team identified 20,884 visits in 2003, representing about 737 million US visits overall. Among those visits, 919 were identified as benzodiazepine-related, representing about 27.6 million overall. In 2015, rates increased to 24,273 visits (841 million overall) and 1672 benzodiazepine-related (62.6 million overall). The sedative-related visit rate had increased from 3.8% (95% CI: 3.2-4.4) to 7.4% (95% CI: 6.4-8.6) in just 12 years. Among all benzodiazepine visits in 2015, a majority (52.3%) were accounted to primary care physicians. Among just primary care physicians, the therapy-related visit rate increased from 3.6% (95% CI: 2.9-4.4) to 7.5% (95% CI: 6.0-9.5). Among all observed physician specialties, only psychiatrists did not increase their rate of visits through 2015. Investigators also noted slight increases in therapy visits for treatment of anxiety and depression, as well as neurologic conditions. More significantly, visits for treatment of back and/or chronic pain increased over time (3.6% to 8.5%). Perhaps predictably, the co-prescribing rate of benzodiazepines with opioids skyrocketed—from just 0.5% (95% CI: 0.3-0.7) in 2003, to 2.0% (95% CI: 1.4-2.7) in 2015 (P < .001), indicating a quadrupled rate. Co-prescription of benzodiazepines with other sedatives also rose significantly, doubling from 0.7% (95% CI: 0.5-0.9) to 1.5% (95% CI: 1.1-1.9; P < .001). With consideration to the increased rates of visits coming mostly from primary care physicians—as well as increases for visits pertaining to pain—investigators suggested the boom of benzodiazepines is because of their availability and effectiveness for pain management outweigh other therapies. There’s also a chance, they noted, that it’s correlated to response from the opioid epidemic. “In particular, these trends could reflect an underappreciation of the risks associated with benzodiazepines and an over-appreciation of the benefits, given their rapid therapeutic effects, marketing techniques used by the pharmaceutical industry, greater frequency with which anxiety or other “diseases of despair” are manifesting themselves in presentations to primary care, and poor availability of or access to pharmacologic and nonpharmacologic alternatives,” the authors wrote. As opioids lose favor among healthcare providers, Agarwal and Landon advise providers remain aware of the potential danger that overuse or misuse of benzodiazepines can harbor. They called for efforts addressing the limited use of the sedatives—whether it be in guidelines or prescription-monitoring programs—to focus on primary care. 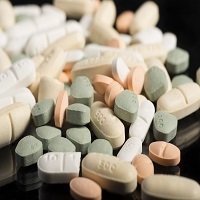 “As we have seen with the opioid epidemic and in light of increasing death rates related to benzodiazepine overdose, addressing prescribing patterns may help curb the growing use of benzodiazepines,” they wrote. The study, "Patterns in Outpatient Benzodiazepine Prescribing in the United States," was published online in JAMA Network Open.